I’ve never really been much of a ride rider. I don’t like rollercoasters-with the exception of Thunder Mountain Railroad at Disney. The thought of being flipped upside down scares me. I’m usually the girl stuck holding everyone’s belongings while they enjoy the ride. 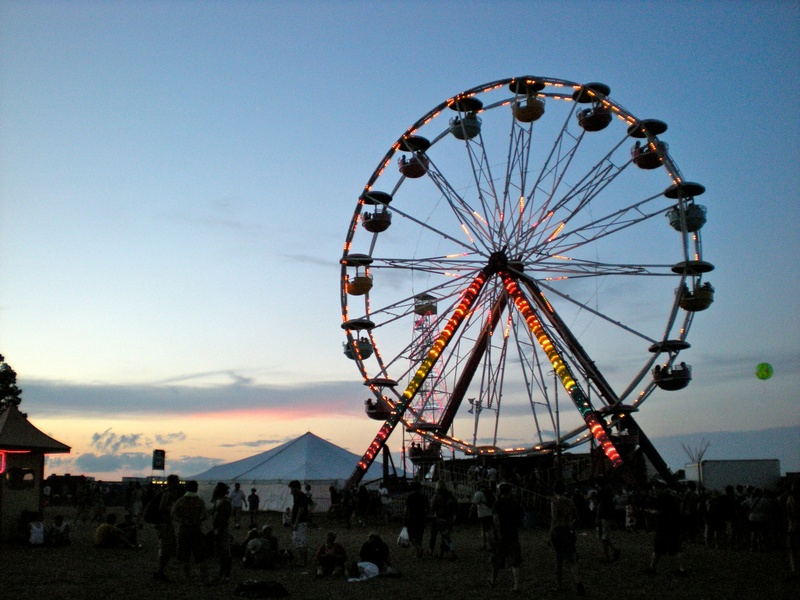 I do, however, love Ferris Wheels! 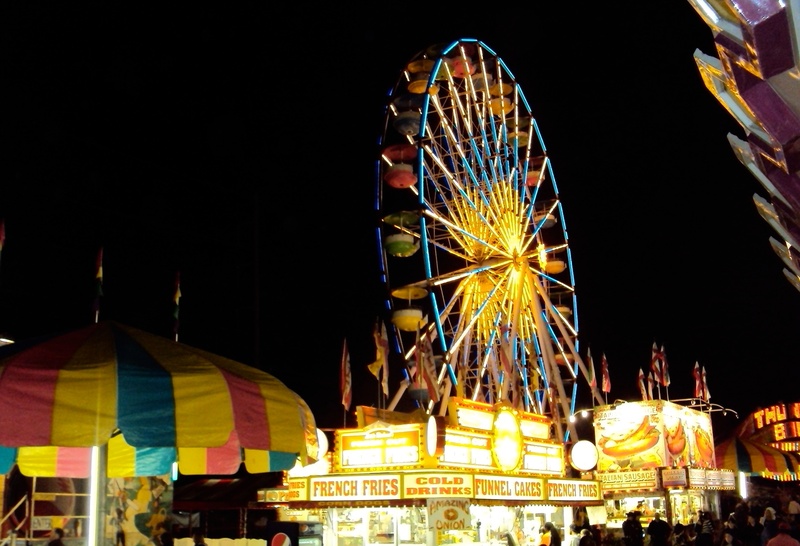 They feel safer to me than a rollercoaster, look so pretty when lit up at night, have a romantic feel about them and they’re the ONE ride I can actually ride! I’ve developed a love for them over the years. 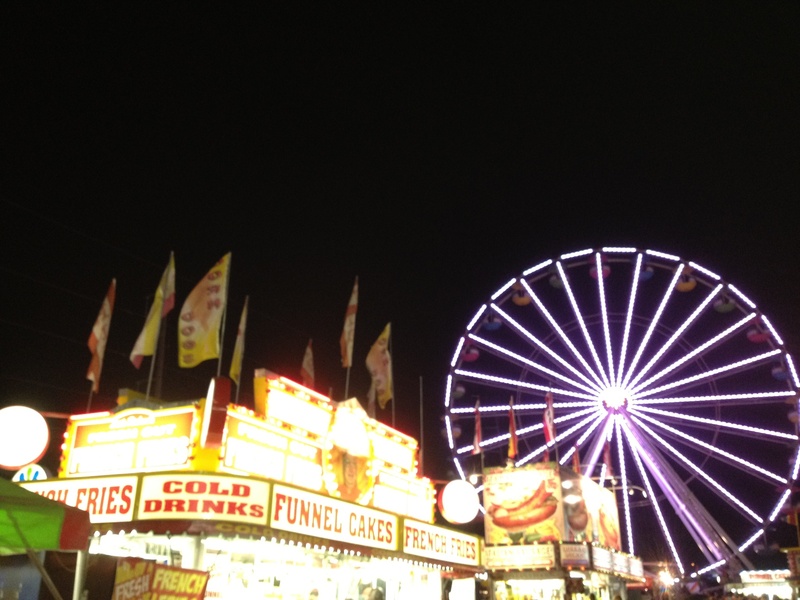 I eventually plan on riding all the Ferris Wheels in the world. It’s a reasonable goal. So, you can imagine my excitement when I heard that Skyview was coming to Atlanta. At 20 stories high, Skyview overlooks metro Atlanta with 42 climate controlled gondolas. That’s right, the gondolas are air conditioned in the Summer and heated in Winter. Plus, it opens just 20 days before my two year anniversary, July 22nd! Riding the Ferris Wheel is such a nostalgic summertime activity that I couldn’t imagine a more perfect way to spend my anniversary. 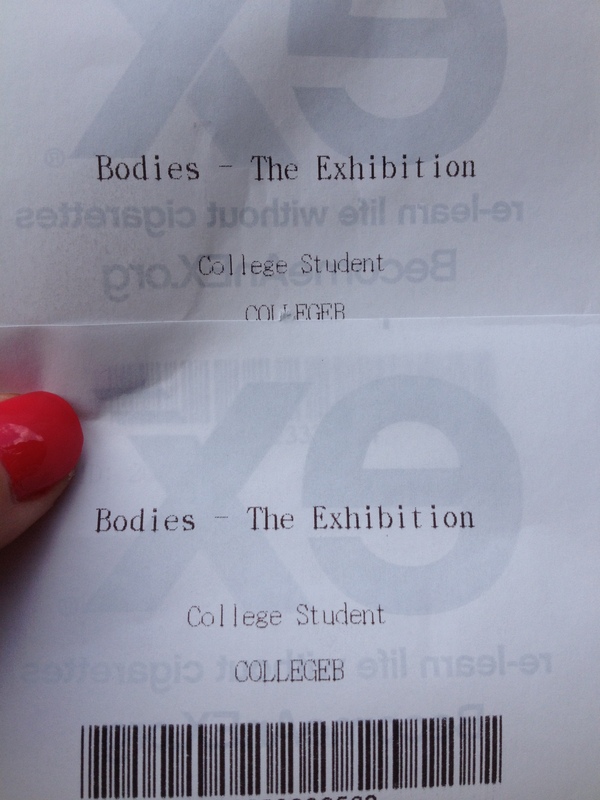 This past Sunday, my boyfriend and I ventured down to Atlantic Station to check out the Bodies Exhibition. 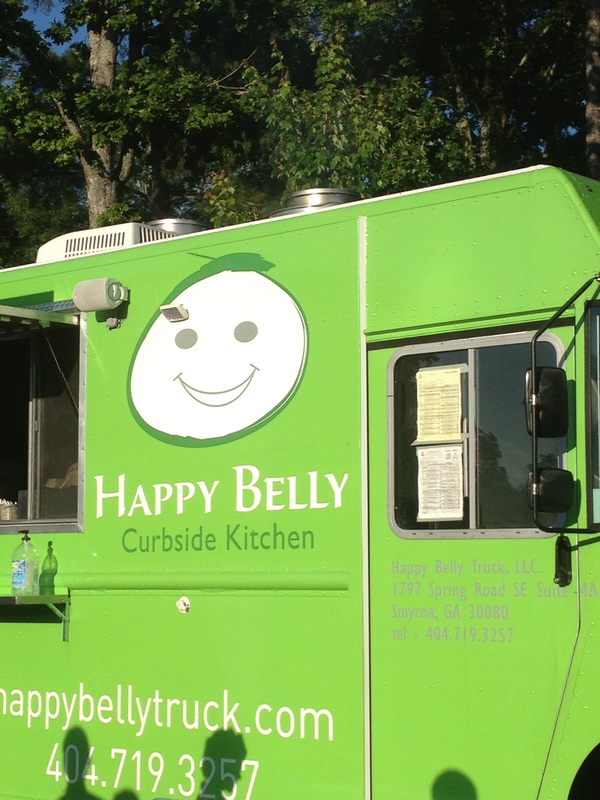 It’s been on our (okay, HIS) to-do list for a while, so I finally mustered up the stomach to see it. I don’t do well with blood, guts, veins, or anything related to how the body functions for that matter. I literally get light headed just hearing the word blood. Nonetheless, I put on my big girl shoes and actually really enjoyed it! 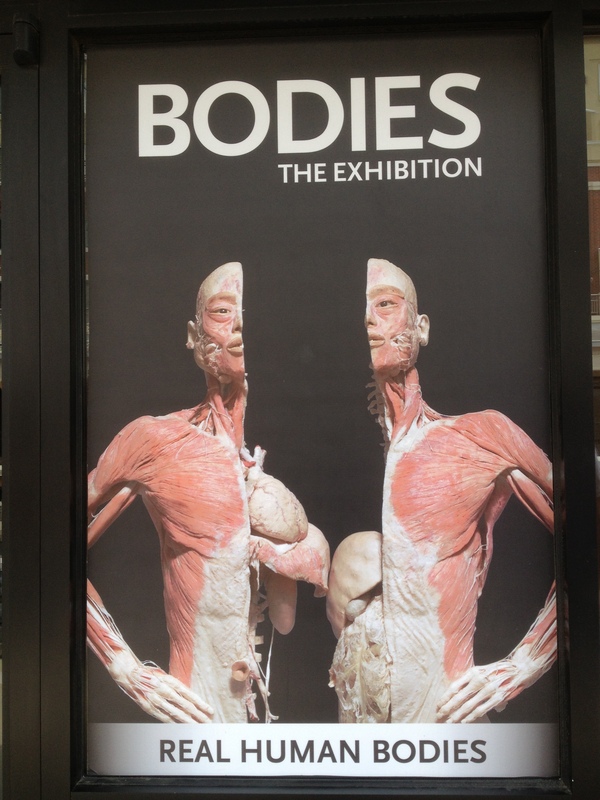 Bodies gives you an interactive look inside the human body. And by interactive, I mean up close! The bodies used in the exhibit are actual human bodies that have been preserved using an innovative preservation process. They look like plasticized humans. The exhibit lets you explore all systems of the body, inch by inch. You get to see what the veins and arteries in your lungs like without all the tissue surrounding them, a healthy organ verses a diseased one, and what your skin looks like without all the bones, muscle and tissue. It’s amazing! One of my favorite parts of the exhibit was the respiratory system. They displayed a set of healthy lungs and a set that had been tarnished due to smoking with a bin in-between them where people could throw out their packs of cigarettes. The difference was astounding. Photography was prohibited during the tour so I couldn’t snap any pics, but I did learn some interesting facts which you can read below. 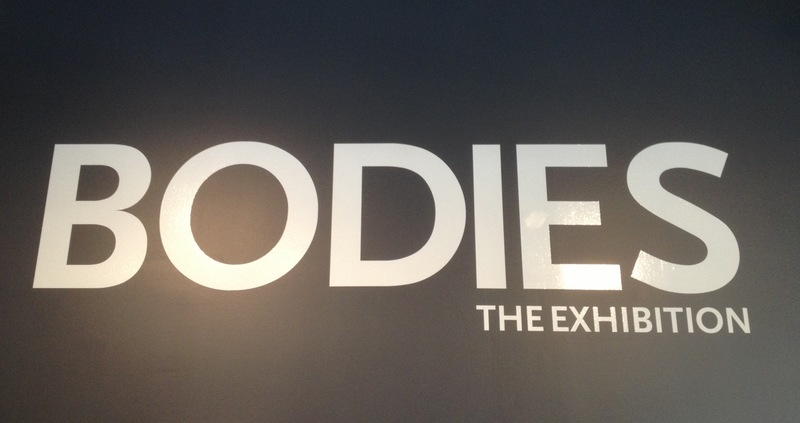 If BODIES is ever in your area, you should definitely go! For every pack of cigarettes you smoke, you lose 3 hours and 40 minutes off your life. Every drop of blood in the body passes through the heart once per minute. Girl’s brains account for 2.5 % of their body weight. Boys’ brains account for 2%. Fingernails grow faster on the hand you favor. I’ve documented my love for Summer’s fresh produce before (here), but after making these popsicles, I’ve been searching for ways to add more watermelon to my diet. 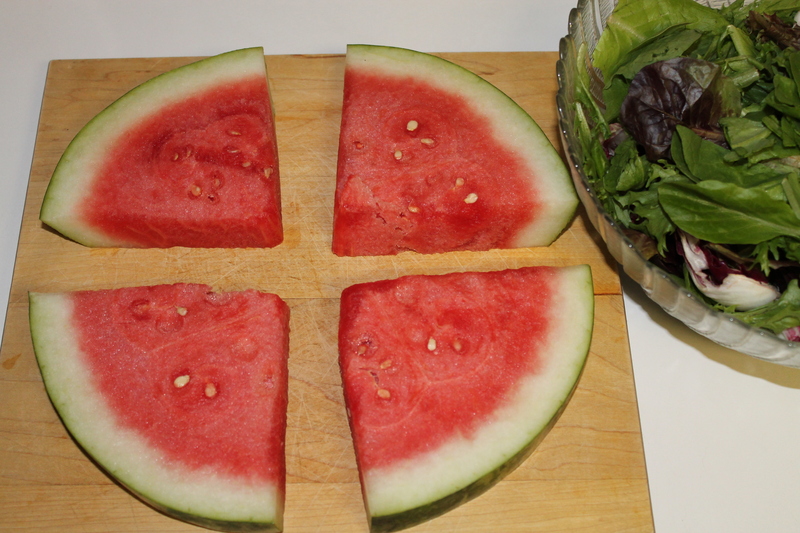 One of my favorite restaurants in Atlanta, Two Urban Licks, features a Watermelon Salad on their menu. I’ve had it once before- crispy watercress, juicy watermelon, fresh mozzarella, drizzled with an almond mint pesto, it is the perfect summertime dish. I decided to recreate my own variation of this salad using spring mix instead of watercress and feta in place of the mozzarella. 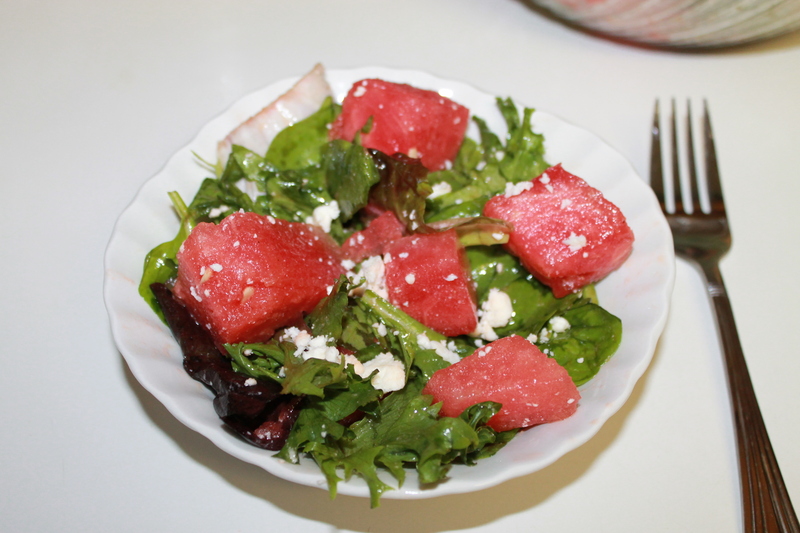 I tossed it in a simple citrus vinaigrette and voila-a light and healthy lunch! With less than five ingredients, I know this is something I will make all Summer long. 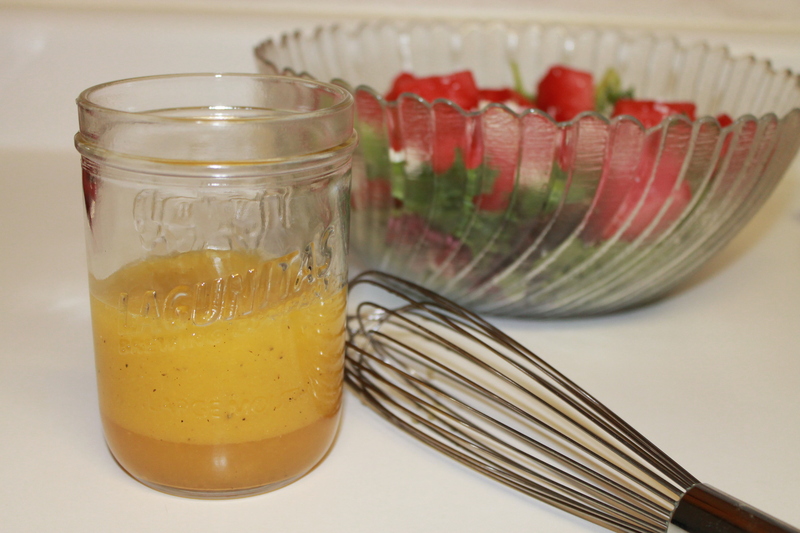 Whisk together the orange juice, lemon juice, shallots, honey, salt, and pepper. Slowly pour in the olive oil, whisking constantly. 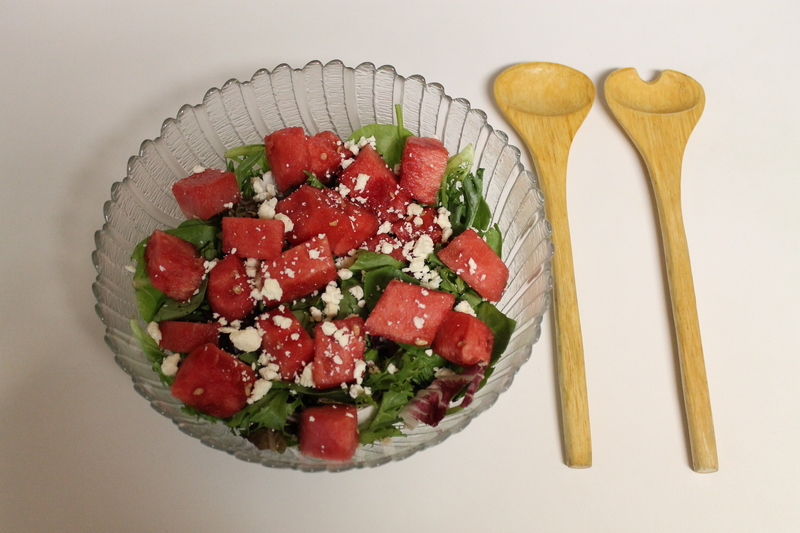 Place the spring mix, watermelon, and feta in a large bowl. Drizzle with enough vinaigrette to coat the greens lightly and toss well. Serve immediately. 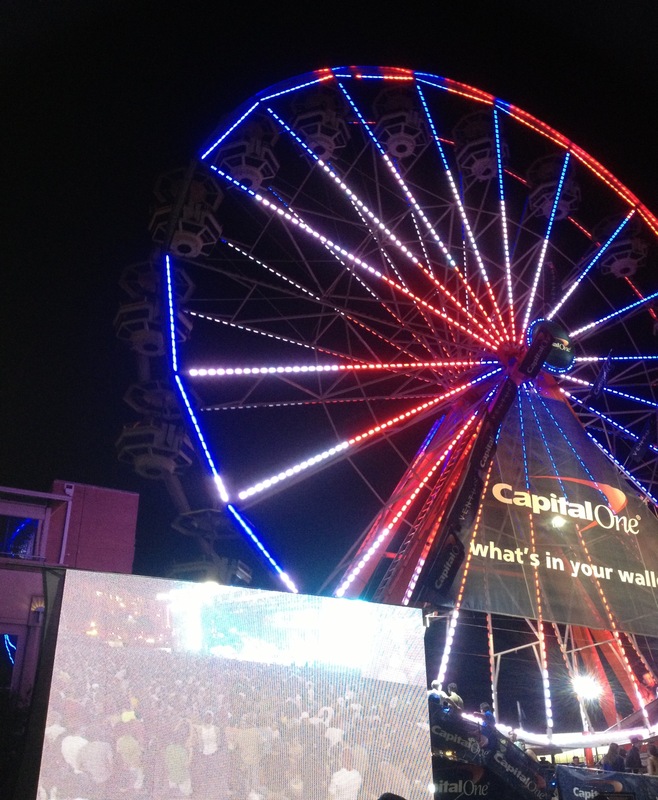 When it comes to holidays, I tend to be overly festive and 4th of July is no different. I usually sport a combination of red, white and blue, but this year I’m taking it to the next level by adding adornments of stars and stripes to my ensemble. My plans for the 4th are always some type of pool party/lake outing during the day and then watching fireworks at night, so I put together two looks perfect for both activities. I fell in love when I saw this flag print bikini at Old Navy. I had a similar one when I was in middle school, but in a tubing trip gone wrong, my bottoms fell to the bottom of the lake and were never recovered. Just a tad embarrassing when you’re on a boat with your brother’s baseball team. I’ve decided to give this look a second chance by wearing it to a pool party this year. I think I’ll skip any kind of water sports. 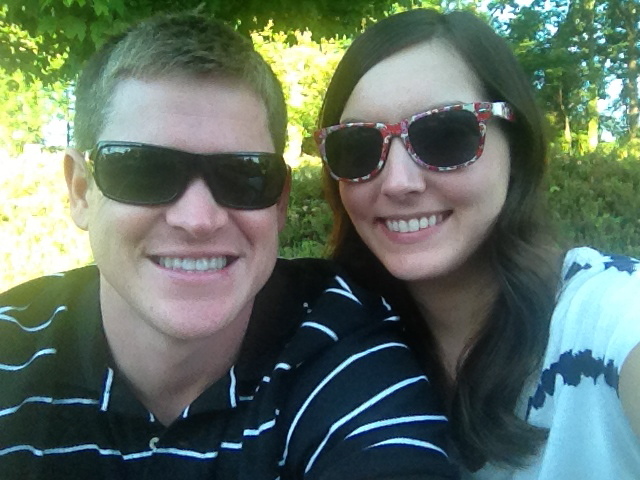 For fireworks, a classic chambray shirt, white sundress and striped espadrilles are a classic American look. I picked up this headband from Forever21 for an extra patriotic touch. 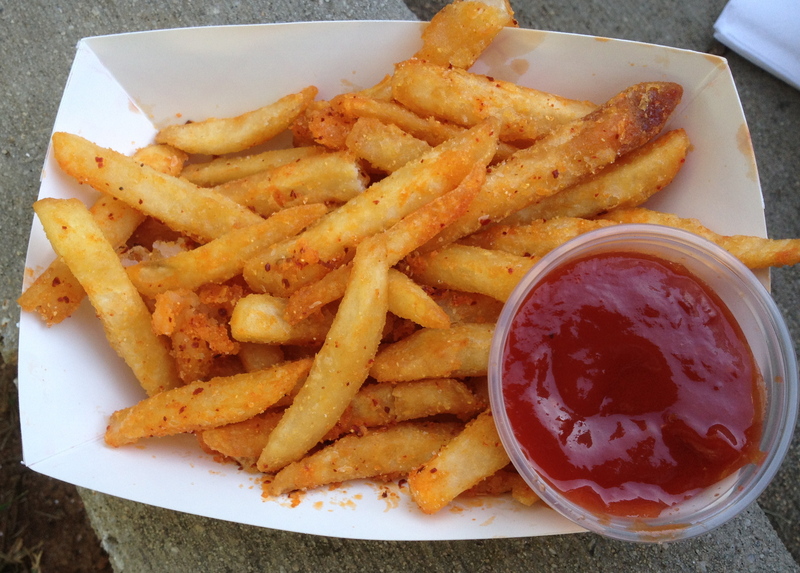 I’ve been wanting to visit the Atlanta Food Truck Park (another Atlanta Bucket List item) for quite some time. 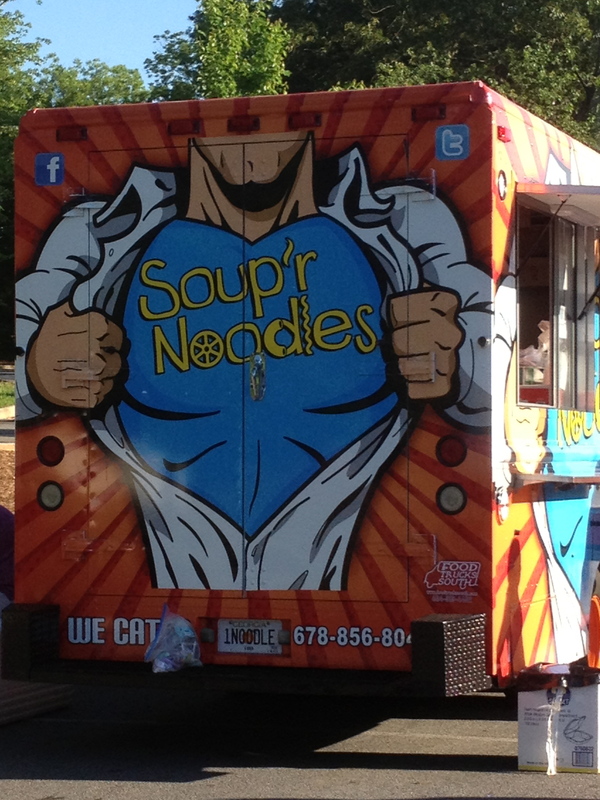 One area that houses all the food trucks in the city? How convenient! 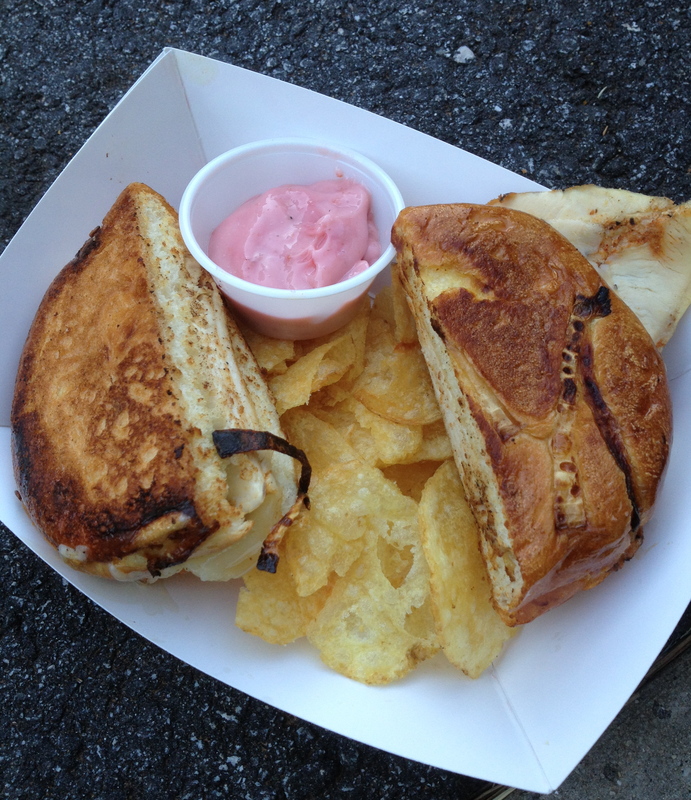 I had my first experience with a food truck two Summers ago when I worked in Midtown. 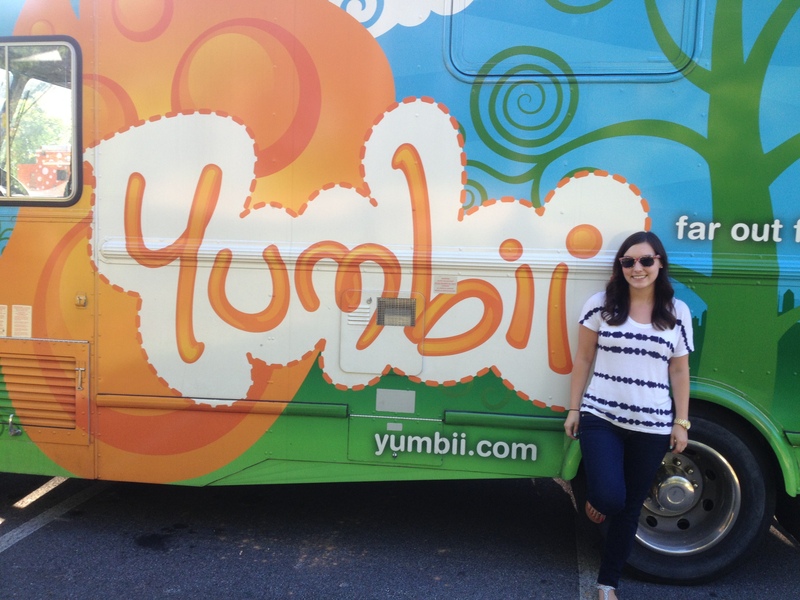 It was Yumbii, Atlanta’s first food truck, and I haven’t stopped thinking about it ever since. 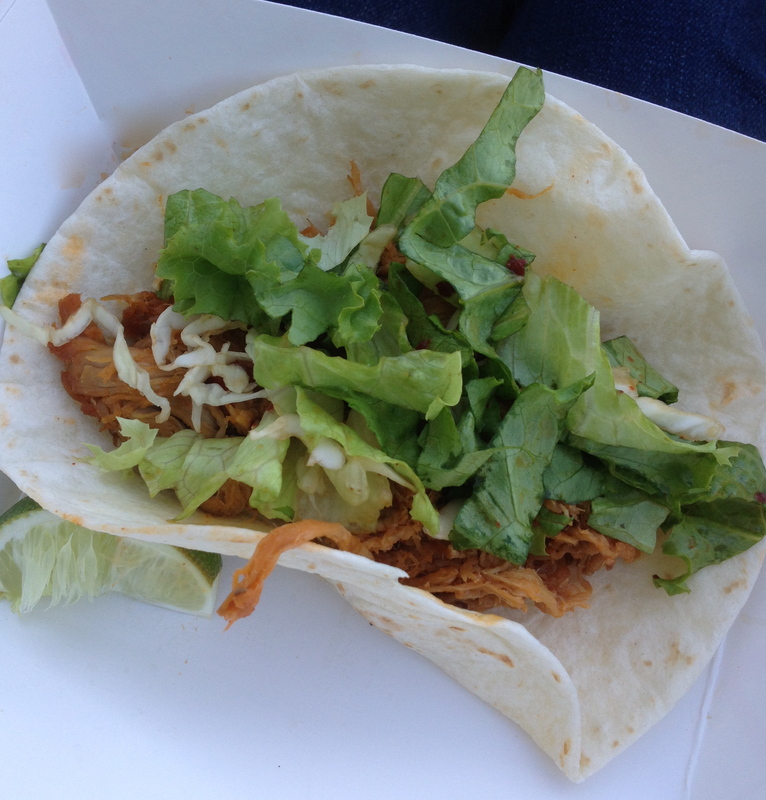 Yumbii fuses together Asian and Mexican flavors to create fare like the Spicy Pulled Pork Taco, pulled pork topped with a red Asian barbecue sauce and a soy sesame vinaigrette salad. I like to add sriracha to mine for extra spice. 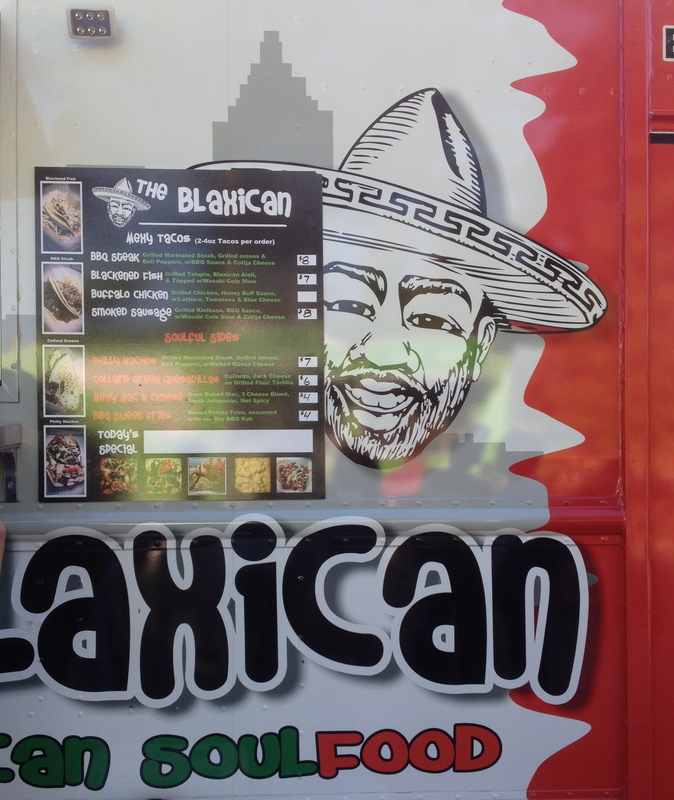 It’s gourmet cooking with a street food twist, or as my boyfriend would say, “It’s not fast food, it’s good food quickly.” However you look at it, my first experience with a food truck was so awesome that I had to explore more of what Atlanta’s food trucks had to offer. 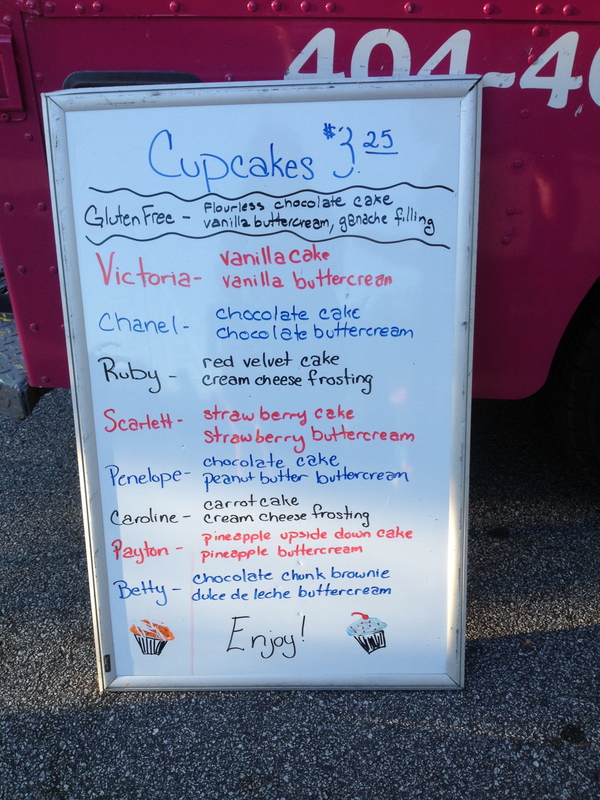 So when I found out that Smyrna hosts Food Truck Tuesdays, my boyfriend and I ditched our usual date night and headed to Smyrna . 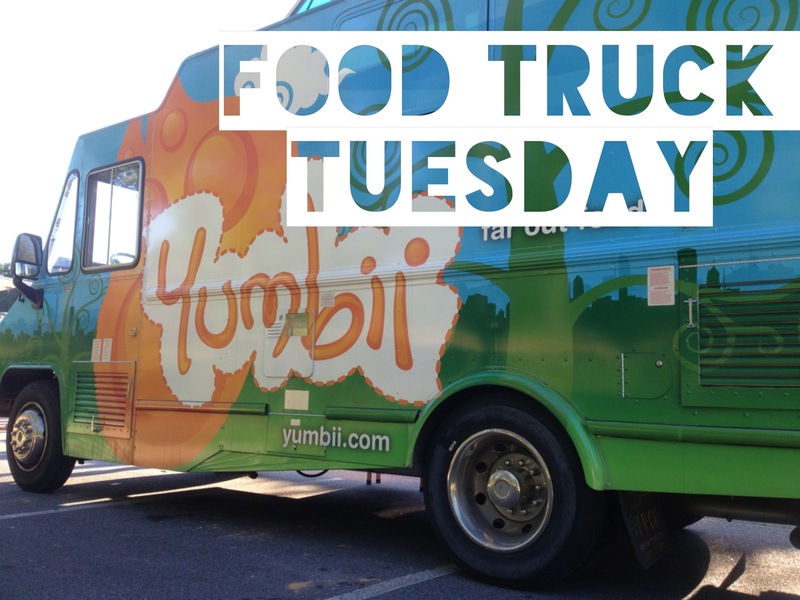 Live music + Park + Food Trucks=Perfect Tuesday Night. 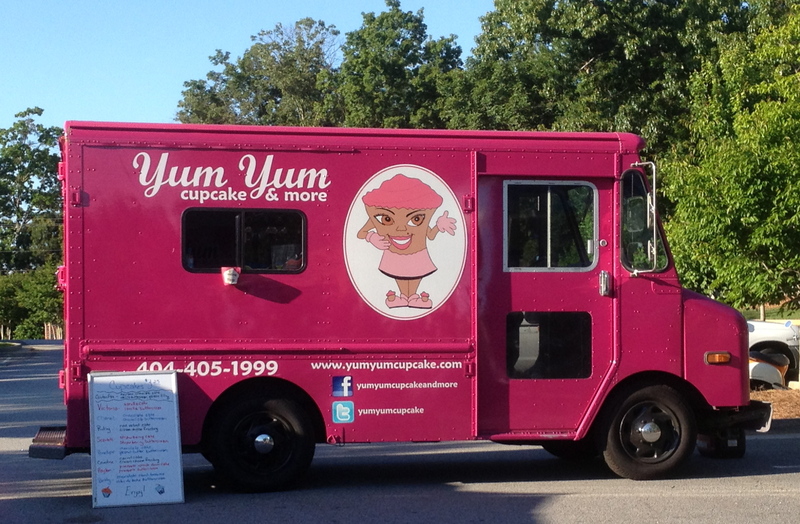 Food Truck Tuesdays takes place at Taylor-Brawner Park of Atlanta Road. Parking can be a little tricky, but don’t let that discourage you (It was totally worth the extra 15 minutes). 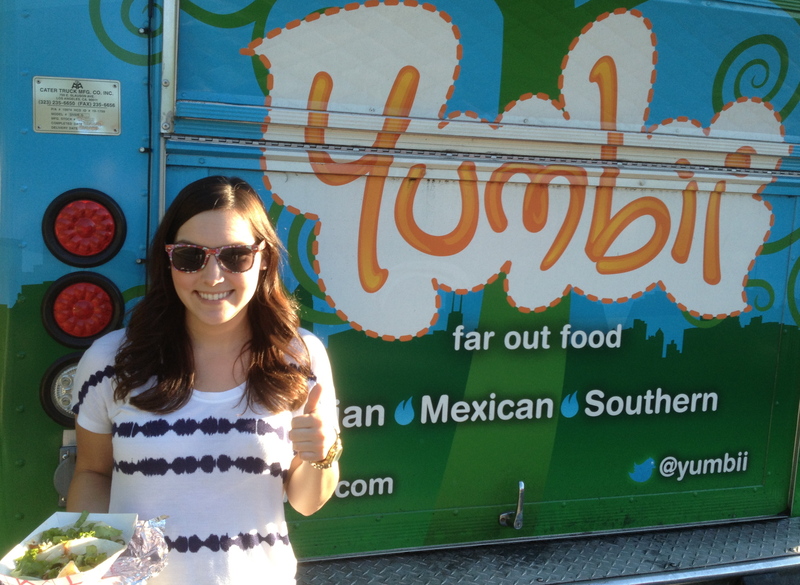 Of course I had to get my Yumbii fix first, but after that we sampled grub from several other trucks. 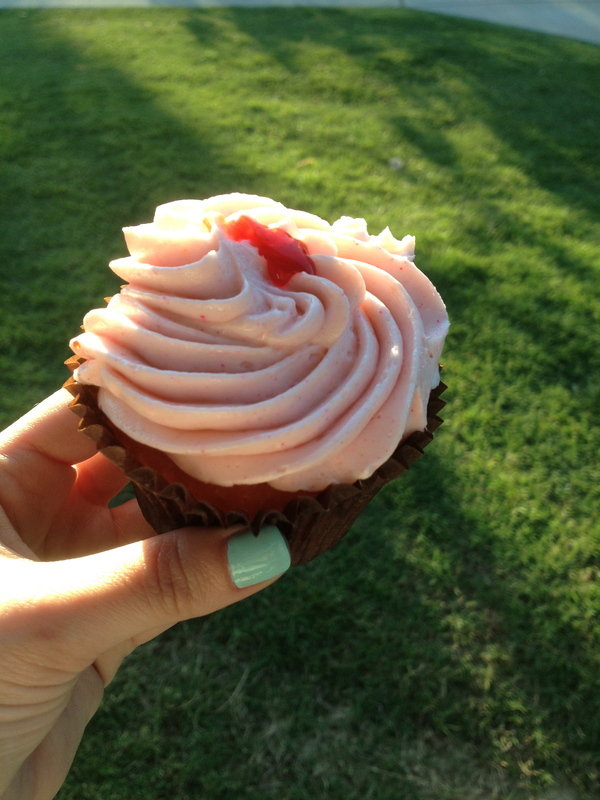 I even splurged on a strawberry cupcake from the Yum Yum Cupcake truck, and no, I don’t regret any of those extra calories. This is an easy/cheap weeknight activity, a great place to hang out with friends, and enjoy an assortment of cuisines- even the pickiest eaters can find something they like. I’ll definitely be back! It’s one of my favorite times of the year: berry season! The supermarkets have an abundance of these sweet little fruits in vibrant colors of red and blue. 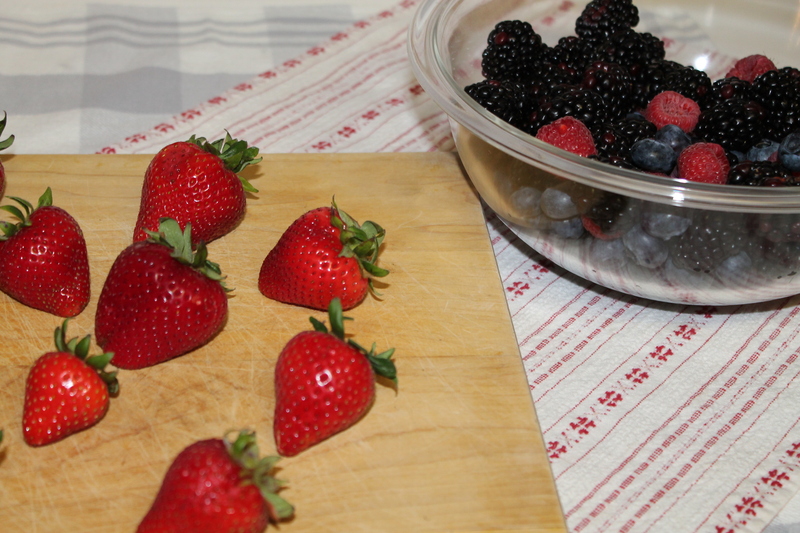 In the Summer, I use fresh berries in my cooking all the time. Whether it’s in cupcakes, muffins, smoothies, or even as a base for a sauce, I’m always looking for ways to incorporate them in my dishes. 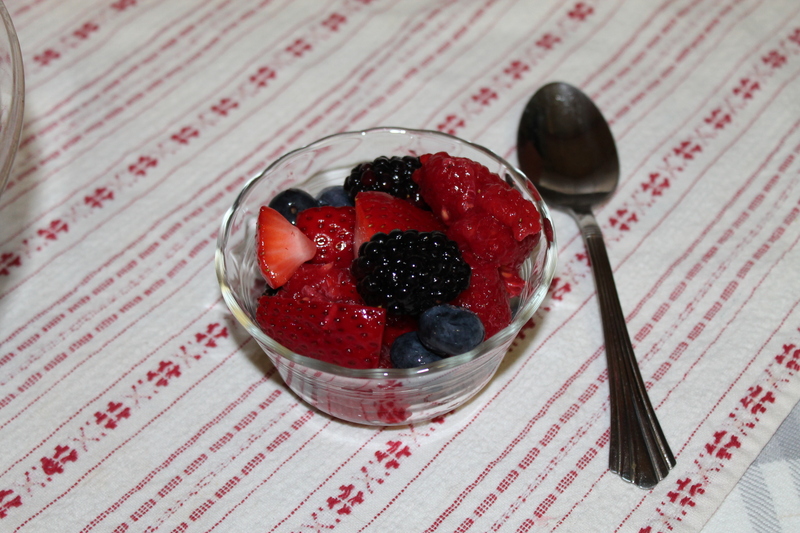 Berries are such a versatile fruit, they can practically be used in any dish to enhance or compliment flavor. 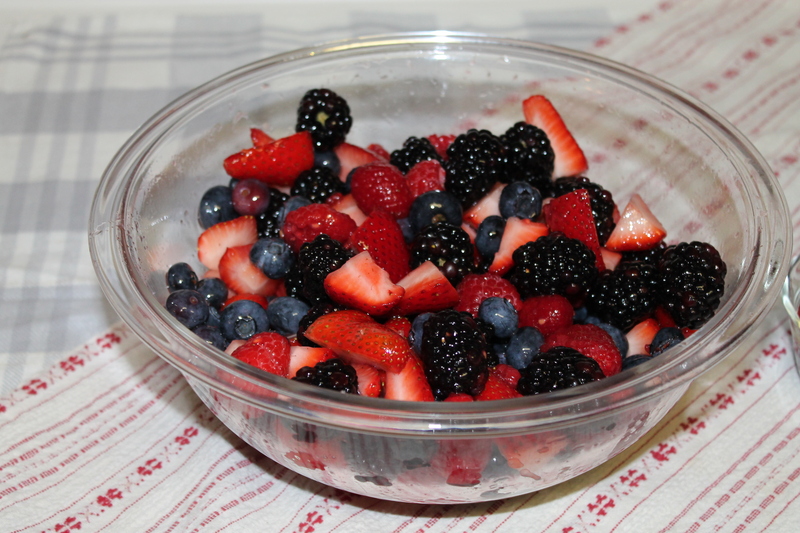 I recently made this Summer Berry Salad to bring as a side dish for a Memorial Day BBQ I attended. 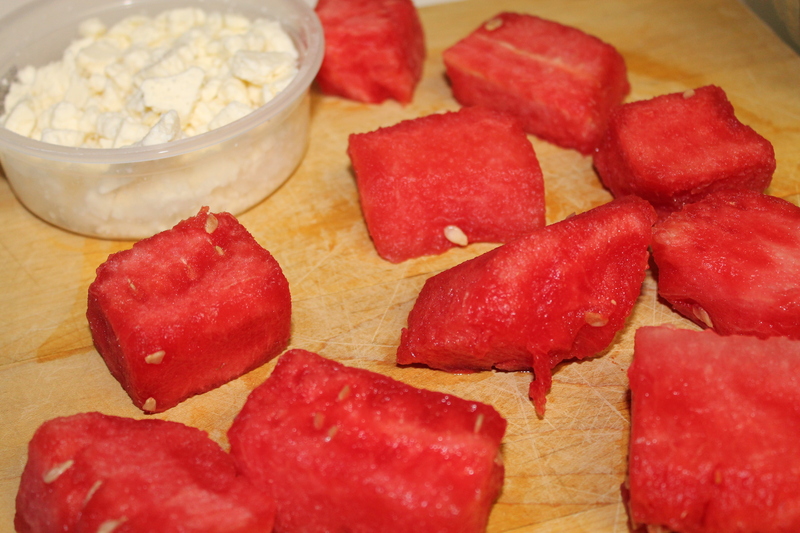 It is super simple to prepare and I didn’t have to use the stove or oven to make it (a plus when it’s hot outside). 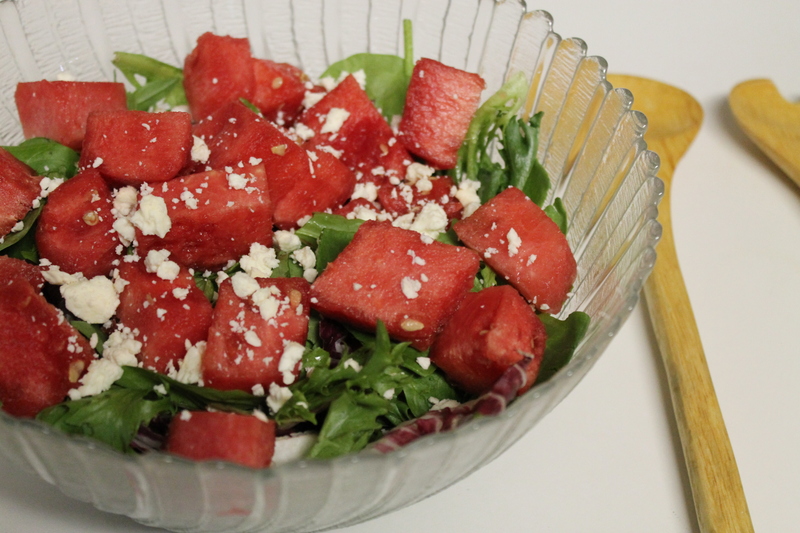 This salad was such a light and refreshing side, not to mention festive looking, that I’ve since made smaller portions of it to eat as a snack at work. Hull and slice the strawberries. 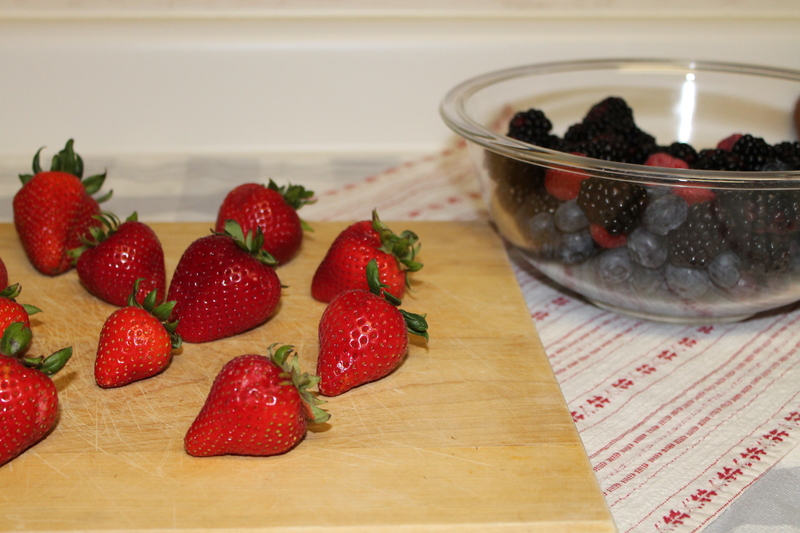 Add strawberries, blueberries, rapsberries and blackberries into one bowl. Mix together. Squeeze juice of lemon and orange over berries. 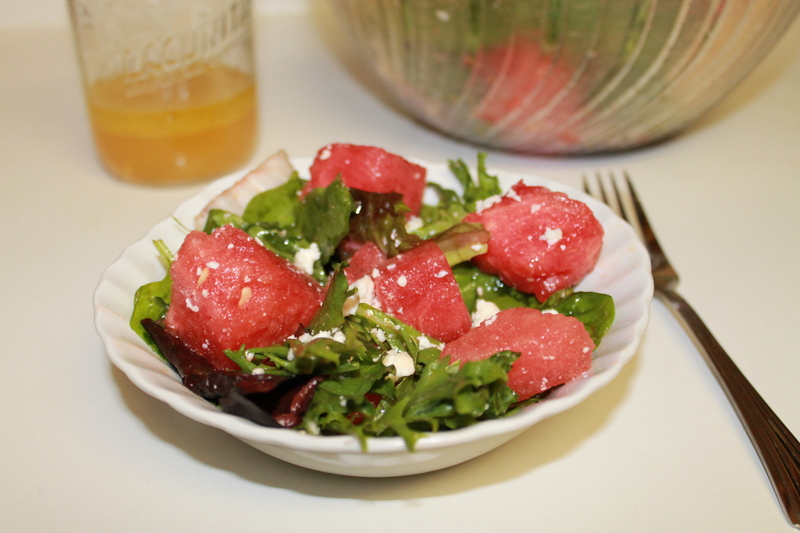 Sprinkle mint over salad for garnish. Let chill for at least 2 hours in the refrigerator. Summer is in full swing here in Atlanta. The days are sunny (most of the time) and the temp’s are in the 80’s, which means that most of my weekends are spent at the pool. I always like to keep a well stocked beach bag on hand. You know, for those impromptu invitations to the pool. This straw tote is the perfect summer bag. 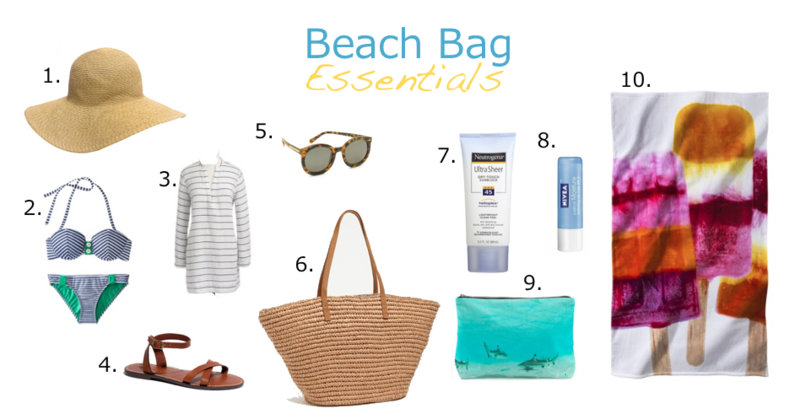 It’s large enough to hold all your beach essentials, yet stylish enough to wear out. I always keep an extra bathing suit and cover up in my bag, along with a cosmetic pouch to hold all my valuables: iPhone, jewelry, chapstick etc. Just add a hat, sunnies, and a towel and you are ready for a day at the pool. Oh yeah, don’t forget the SPF!